Passover has ended and now I’m liberated from eating matzoh! 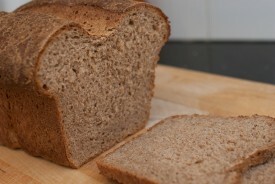 Welcome back whole grains, breads, legumes and flour, where have you been all my life?! 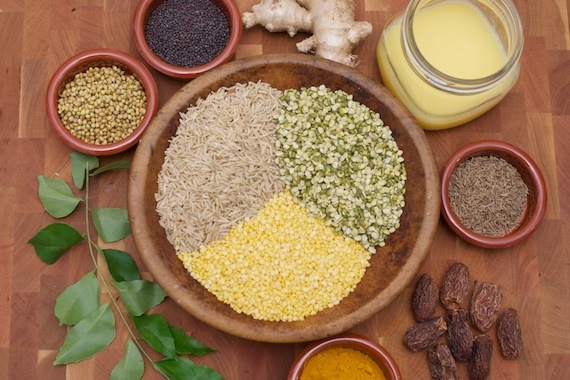 It just so happens that today’s back-to-regular-diet-after-passover-day coincides with an exciting initiative launched by the Whole Grain Council, a not-for-profit consumer advocacy group that works to increase consumption of whole grains.Today, April 3rd, is whole grain sampling day! In honor of whole grain sampling day, I am sharing a simple traditional Indian whole grain and legume dish called kichari. Similar to jook, which I wrote about a few weeks ago, kichari is a one pot porridge traditionally featuring white rice and lentils. When I make kichari, since I’m a whole grain junkie, I substitute brown basmati rice for the white rice, and of course add tons of fun spices and flavorings. Like jook, kichari is often made without spices and in it’s bland form is used as a cleansing and nourishing food given to people recovering from illness. 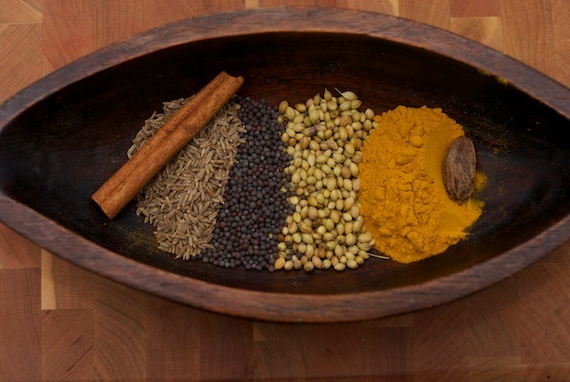 But in today’s version, I went super-bold with the flavors, adding mustard seed, cumin seed, coriander seed, turmeric, black cardamom, cinnamon, fresh ginger, fresh curry leaves and dried dates. Since I’ve been subsisting on drying and stagnating foods (hello, matzoh!) over the past week for passover, I added these activating spices to ramp up my digestion, and restore the my central burner to it’s happy, pre-passover state. Also, from a Chinese medicine perspective, this cold/windy/hot-cold spring weather can create a kind of stifling energy flow, which can be counteracted with these aromatic spices. 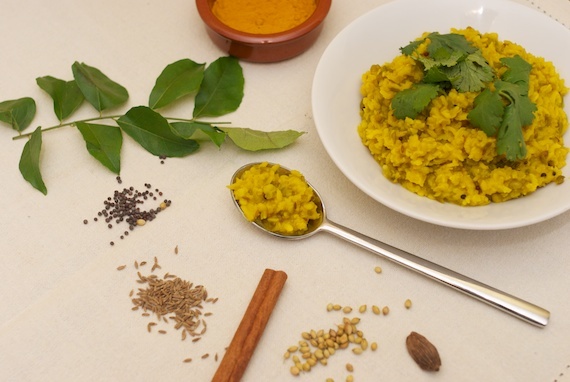 The process to make kichari is very straight forward, it’s the epitome of a one-pot wonder. The beans and lentils are washed at least 3 times in cold running water, and then soaked for up to 30 minutes. 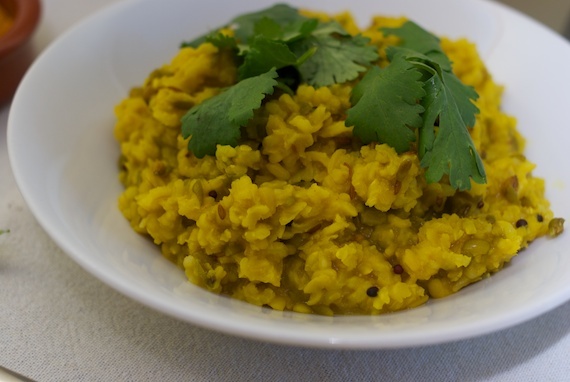 I used 1 cup brown rice and 1/2 cup both green yellow moong dal for a colorful melange. After the beans and lentils have been soaking about 20 minutes, toast the seeds over medium/low heat in ghee (stay tuned for a ghee post tomorrow; you can also use coconut oil or extra virgin olive oil to make this vegan) until fragrant and beginning to pop, then add in the turmeric, grated ginger, cardamom, cinnamon, curry leaves and the soaked beans/lentils. The amounts of the spices can be varied according to taste – I used about one tablespoon of each. Cover with boiling water to about an inch over the contents of the pot, cover, and cook over low for 40 minutes or until everything is softened and cooked. Keep an eye on the pot, I often add more water during the cooking time, as you want to keep the grain/beans covered with water at all times. 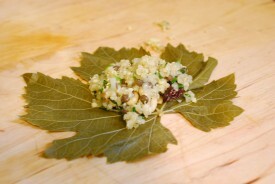 When cooked, season with sea salt and garnish with cilantro, ghee, lime pickle and/or yogurt. One of the great aspects of whole grains is how filling they are. This dish is packed with fiber and protein and just a small portion keeps me satiated for a few hours. 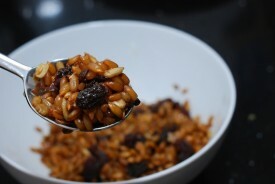 I’ve seen kichari made with other whole grains, but I wanted to make this version with brown rice, as it’s the grain which corresponds to the center burner (digestion) and the changing of the seasons in Chinese medicine. People often ask me about doing juice fasts and various liquid cleanses as a way to lose weight or jumpstart a clean eating program. I much prefer a mono-diet of cooked food like kichari, jook, or plain whole grain and steamed vegetables rather than a juice fast. From a Chinese medicine perspective, eating too much cold and raw food (like juices) taxes the body and digestion, resulting in weakened digestion and energy. I find that taking anywhere from one to five days to eat simply grain, bean and vegetables, is a great way to reduce cravings for sugar, dairy and white flour. The changing of seasons is a wonderful time to embark on a few-day whole grain, legume and vegetable cleanse to support the body as the weather changes. 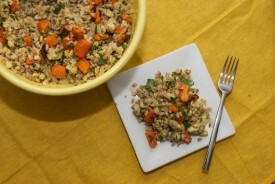 Here are some other recipes from Sustainable Pantry which feature whole grains… We do eat a lot of them around here! What’s your favorite way to use whole grains? 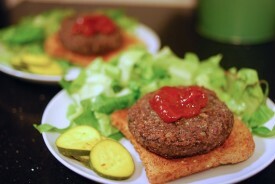 Whole Grains – They’re not just for dinner!